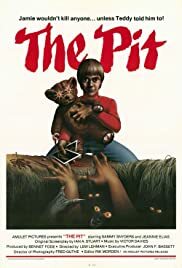 A solitary and strange preteen boy wreaks revenge on his harassers when he makes a disturbing discovery in the depth of a forest. Isolated by his strange parents, Leon finds solace in an imaginary friend, which happens to be an anatomy doll from his father's doctor office. Unfortunately, the doll begins to take over Leon's life, and his sister's life as well. When his loyal fans decide to steal his fresh corpse from the mortuary to party with it all night long, a true horror film star returns from the grave as a ghastly blood-sucker, bent on revenge. At least, will he spare his followers? When a meteorite lands near his family farm during a storm in Tennessee, the son of a struggling farmer believes it's connected to strange plague-like events afflicting the crops, the farm animals and even the family themeselves. Stars: Ilona Agathe Bastian, Yos Santo, Sofia W.D. An orphaned teenager finds himself being dominated by his aunt who's hell-bent on keeping him with her...at all costs. A professor with the psychic ability to communicate with the dead uses his powers on his pet cat in order to take vengeance upon his enemies. Jamie Benjamin: Abergail's missing and so is Mrs. Oliphant, aren't they? And Freddy and Christina... They don't eat chocolate bars. You know what they eat? Strange horror film...but rather good. Why the plot outline says the boy here was autistic is beyond me. A bit strange and maybe a little introverted, but he just was not autistic. 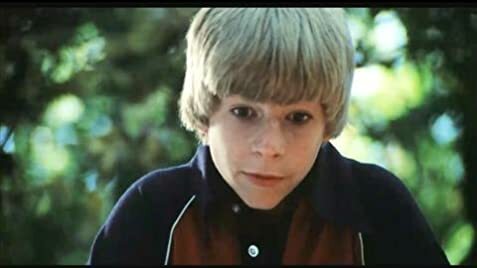 This movie is about a rather unique boy who has conversations with his teddy bear. This is really one of the more stranger aspects of this movie. You are led to believe he is just having imaginary conversations with the bear, but in one scene the teddy actually turns its head. This aspect of the film is never explained in any kind of detail. For the most part it is about the boy having a crush on a woman. This boy also has a rather dark secret. He knows of a pit of monsters near where he lives and he feeds these monsters. What does he feed them you ask? Why people that tick him off of course. It is rather funny seeing him find ways to feed the monsters the best being the football scene. After awhile though the kid actually frees the monsters from the pit where they then go on a rampage. A good movie as long as you don't take it to seriously and the ending is good too.